Inspired by a photograph taken by my daughter on an early morning hot air balloon flight. I liked the way the lines of burned straw flowed across the landscape and the dawn light gives an interesting colour palette. 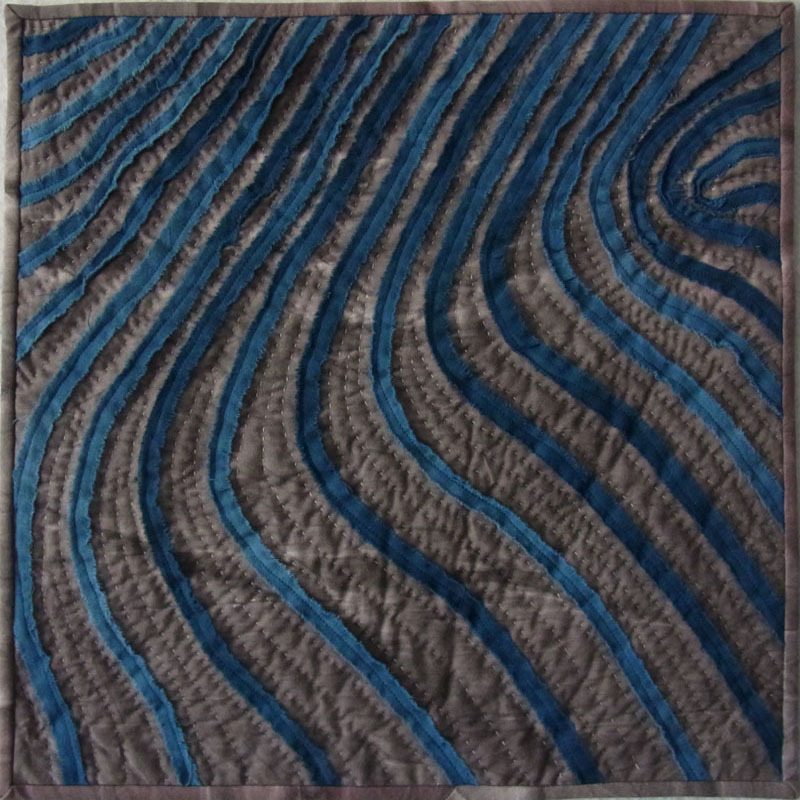 I hand quilted to add more texture to the piece.